Doesn’t time fly when you are having fun? Well, I have just returned from another trip – this time to Switzerland. Zurich to be precise. Schindellegi to be even more precise. It’s a small town sitting above Lake Zurich. Very pretty but unfortunately shrouded in fog most of the time I was there. I knew the lake was there but didn’t see it from the town until the last evening when the sun came out and the lake appeared miraculously from the mist. My friend and I visited Rapperswill which was a very beautiful old medieval town on the lake with an avenue of wonderfully weird pollarded chestnut trees along the water’s edge. 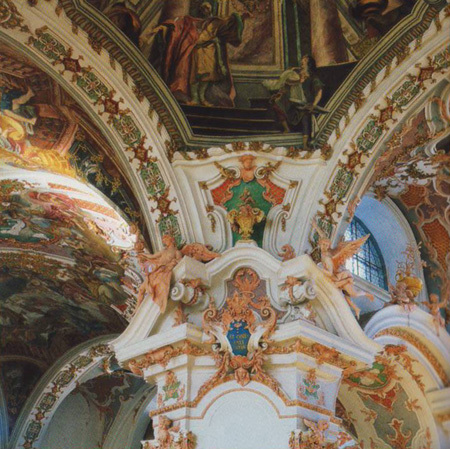 We also went to see the astonishingly beautiful Benedictine Abbey of Einsiedeln which is ornately decorated with frescoes and stucco work inside. 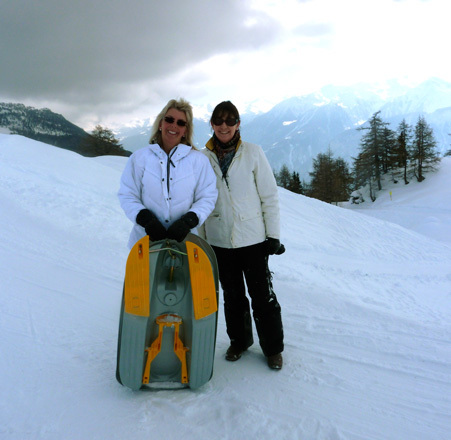 We went to Crans Montana for the weekend. On a map it looks as if it is about an hour away until you realise that there is a huge mountain range in the way and the journey actually takes 3 1/2 hours but as always it is well worth the trip. The sun came out and the views from up the mountain across the Rhone Valley are quite breath taking. Here is a slide show of my favourite Swiss images from my Flickr photographs. You are spared the image of me head first in a bank of snow after parting company with my toboggan, as fortunately, no-one had a camera to hand…. While I was away, my blog celebrated its 3rd birthday. Although it is a shadow of its former self (when I started, I blogged every day and continued to do so for about 18 months or so) it soldiers on and I suppose as long as there are enough of you good people prepared to read it (for which I thank you very much indeed), I will continue. It does provide a wonderful excuse to down tools and think back over my week and decide what is worth remembering, noting down and even cherishing. Looking back over this blog I am reminded of music, films, videos, news, cartoons and illustrations that I would have long forgotten about (what with my memory being as shot away as it seems to be) so it functions as a superior ‘aide-memoir’ if nothing else! I do appreciate those of you who take time out to visit and comment on my posts. I watched the movie ‘Vicky Cristina Barcelona’ again this weekend and fell in love with Javier Bardem all over again. The man is a god. (He is also the second most popular search term that people use to find my blog so no harm in mentioning him again, is there?) And the answer is – yes. I would be off to Oviedo like a shot…. I lurve Sylvie Guillem but please don’t tell the TG. I went to Switzerland many years ago and ended up sleeping in a barn that belonged to a nunnery – it’s a long story that really shouldn’t be discussed here. I’m sure TG wouldn’t mind you admiring from afar. As for the nunnery story – well, where ARE we going to discuss it? 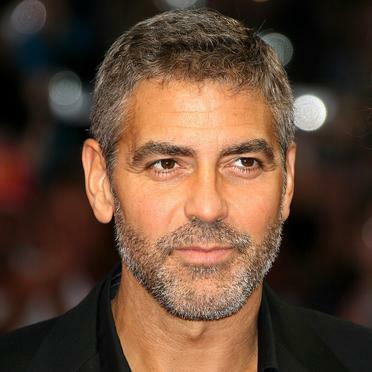 George Clooney is for TG, I like to be even handed…. Happy blog birthday and I love the photographs. I particularly loved the one of the building in Rapperswil. It’s awesome you are able to travel to such beautiful places. I live vicariously through you and your photos. Thank you! Rapperswil is a very pretty town, full of beautiful old buildings – very photogenic. I wonder if I was in Schindellegi back in ’86. We went up a mtn near Zurich then and it was foggy and snowy nearly the entire time. I caught my death of cold there too. Even thought I’m tired of snow, I still love your photos! Can’t wait to see the album completed! Can never have too many George pix! Certainly sounds like Schindellegi! I can’t wait to see it in the Spring. Glad you enjoy the photographs, I love taking them (as you may notice).